Korea’s Min-ji Kim scored three in the ninth end to edge Canada’s Chelsea Carey 7-6 on Saturday at the world women’s curling championship in Silkeborg, Denmark. It was the first game of the tournament for both rinks. Korea opened the scoring with a single in the third end before Carey countered with two in the fourth. The Koreans went ahead 3-2 with a pair in the fifth end but the Calgary skip countered with two in the sixth for the 4-3 advantage. Kim tied the score 4-4 with a single in the seventh before the Canadians counted two again in the eighth for the 6-4 advantage. But the Koreans responded with three in the ninth end. Carey will play twice Sunday. She’ll face Germany’s Daniela Jentsch in the early draw before taking on Latvia’s Iveta Stasa-Sarsune in the evening draw. Carey is attempting to give Canada a rare three-peat at the women’s world curling championship. 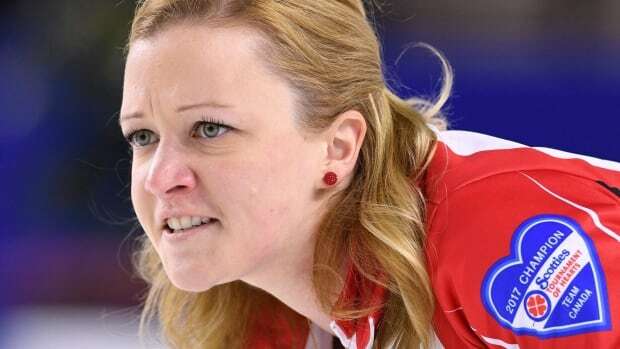 The country is chasing a third straight tournament title after unbeaten runs by Winnipeg’s Jennifer Jones last year and Ottawa’s Rachel Homan in 2017.